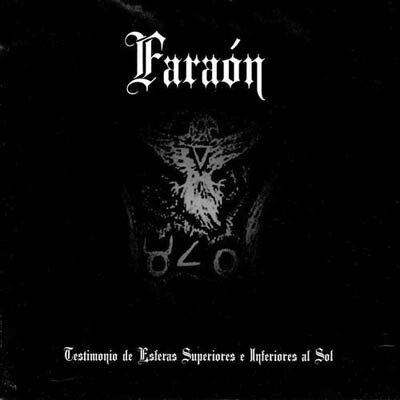 This album is the debut opus and the only recording done by Argentinian project Faraón (Spanish for “pharaoh”), a short-lived one-man band set in motion by the individual known as Temptor Princnegsur, possibly just before putting it on hold to focus on his main act, Gevurahel. One of the most fascinating things about this record is that it has seen almost no circulation since it appeared in self-released format, shortly after the turn of the millennium, failing to gather the slightest bit of attention until the year 2017, when a fellow Argentinian small-sized label called Sons of Hell Prod. decided to release a reissue.